If your Pasadena, Maryland, home is in need of basement waterproofing services, Allmaster Home Services is the company that goes far beyond the cookie-cutter waterproofing solutions often offered by other businesses. 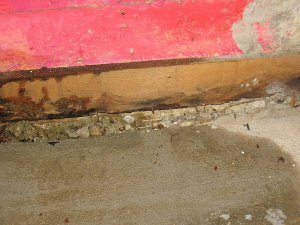 As a leading home improvement company in the area, we understand that there are a variety of factors that go into an effective and long-lasting basement waterproofing system for your home. Rather than offering every customer the same cut-and-dry service, Allmaster treats each project we undertake as a unique case to ensure that we address our clients’ specific basement issues with the thorough understanding and expertise it takes to guarantee a permanent solution. As a veteran- and family-owned and -operated home improvement company serving the Maryland area, Allmaster takes great pride in all of the basement waterproofing, water management, and other services we provide to our customers. We will come to your home at a time that is convenient for you and perform a free in-home inspection to get an accurate idea of the issues you are experiencing. From there, we will cover all possible solutions, and we will never pressure you into signing a contract before you are ready and fully understand what our services will entail. For more information about the basement waterproofing and other water management services we offer to homeowners in Pasadena, MD, and surrounding areas, contact Allmaster Home Services today. Professional and excellent customer service. Would hire them again without reservation. Allmaster came to our home to demolish and rebuild front porch. Pictures are posted on their facebook page. It went absolutely perfect. Our porch looks wonderful. I will definitely be doing service with them again in the future.